What is Rachel's Rainbow? Click on the video below to find out. Rachel Boni shook hands with leukemia on January 4, 2008, when she was three and a half years old. In the hospital, after three days, she learned the other name for it was cancer. Rachel has Acute Lymphoblastic Leukemia (ALL), an especially aggressive form of cancer that requires two and a half years of steady chemotherapy in the spine, IVs, orally, muscular jabs in the thigh, and a port in her chest. Click on the sidebar links to find out more about Rachel and her fundraiser, Rachel’s Rainbow. Hi, my name is Rachel and this is my story. On January 4, 2008, I found out I had leukemia. At first, I was sad and afraid because I spent a lot of time in the hospital and had to get a lot of needles and take a lot of medicine. Sometimes I’m still afraid, but I have also become very brave. For every procedure I get at SickKids, they give me a "Bravery Bead". I collect my Bravery Beads on a long string, and currently have over 500 of them! 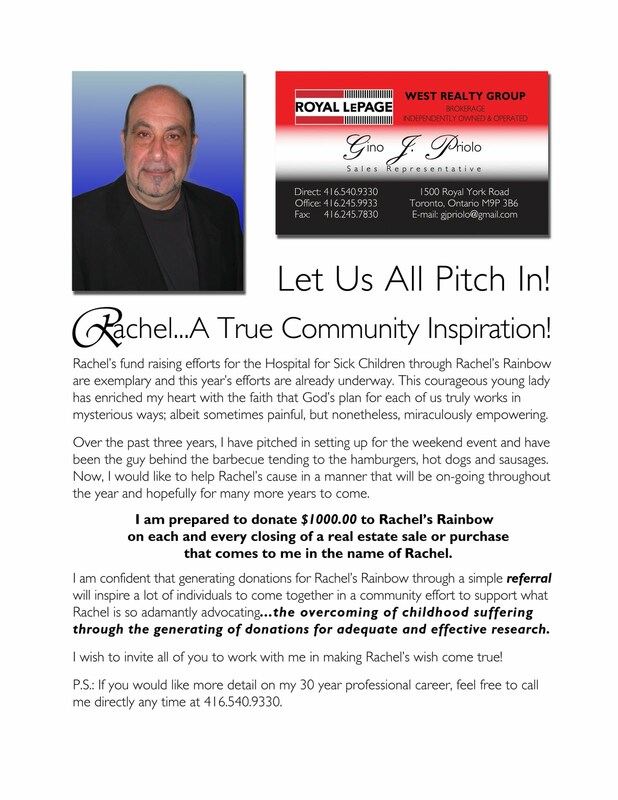 In 2008, I started my own fundraiser, Rachel's Rainbow. 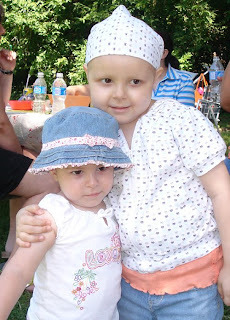 To date, I have raised over $40,000 in support of leukemia research at SickKids. Click play on the video below to watch my journey. Favourite Songs: "Born This Way", "On The Floor"